Loving this adorable set, Sea Street. The octopus is so stinkin’ cute. The words “You’ve got courage, you’ve got strength” are such inspiration from the Something to Say stamp set. 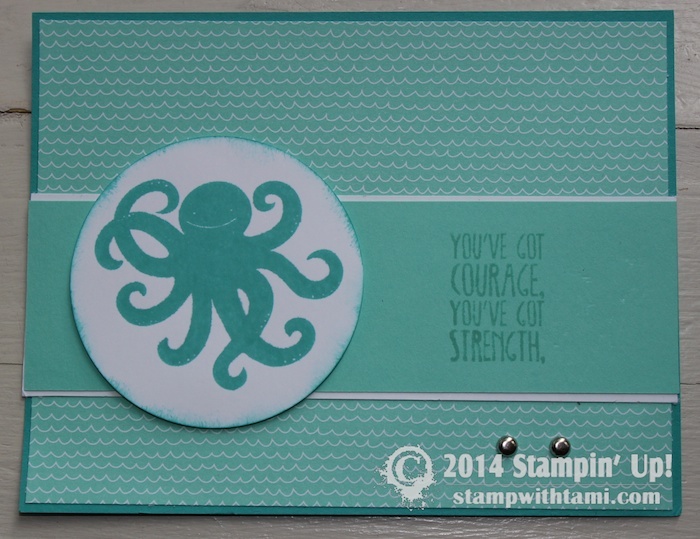 The colors are Bermuda Bay with the new Maritime designer paper background. Created by Angie Silva. This stamp set and the matching DSP are just adorable – and yes the sweet octopus is the cutest!